Sweet, touching and crazy movie. Great story with no major surprises and a happy ending. 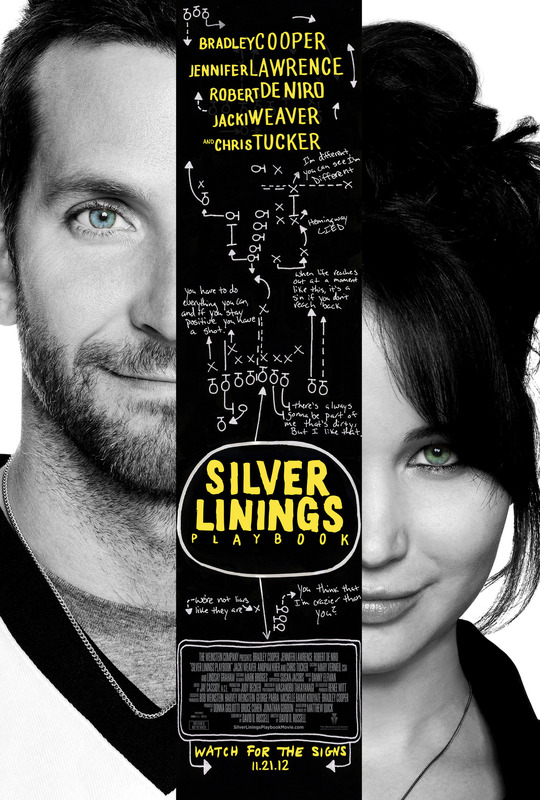 Bradley Cooper does a great job playing the highly emotional and highly unstable Pat with a bipolar disorder. He is really convincing, and you cannot help getting a bit annoyed with him (Pat) as he keeps destroying everything for himself. On the other hand you cannot help drawing a smile every time he just blurts out something stupid but truly honest. Great acting and a good character. Jennifer Lawrence is surprisingly cute. Not at first, but as you go on with the movie she becomes quite cute, I think. She also does a good job playing the slightly disturbed Tiffany. Robert De Niro is brilliant as always. In general a good movie worth watching. It is sweet and touching and yet a bit crazy, so watch it with some one who can stand the combination.